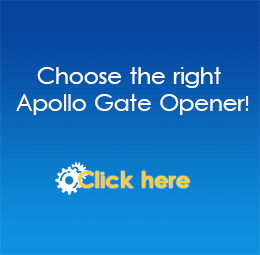 Not sure which Nice Apollo gate opener you need? Click here! DF Supply, Inc. is the leading distributor for Nice Apollo Gate Openers. All of our Nice Apollo Gate Openers are in stock and ready to ship worldwide. Since 1984, Nice Apollo Gate Operators have earned a reputation for outstanding security and reliability, and for staffing top rated technicians that continue to innovate and develop new advanced product lines while continuously improving on established products. 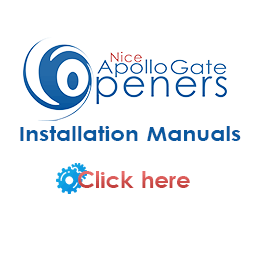 For the lowest price Apollo Gate Openers anywhere, shop ApolloGateOpeners.com. 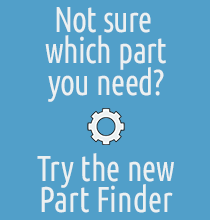 Have questions or need help with your selection? Our professional sales staff is available via email at Sales@ApolloGateOpeners.com, by telephone at 330-650-9226 or toll free at 800-878-7829.